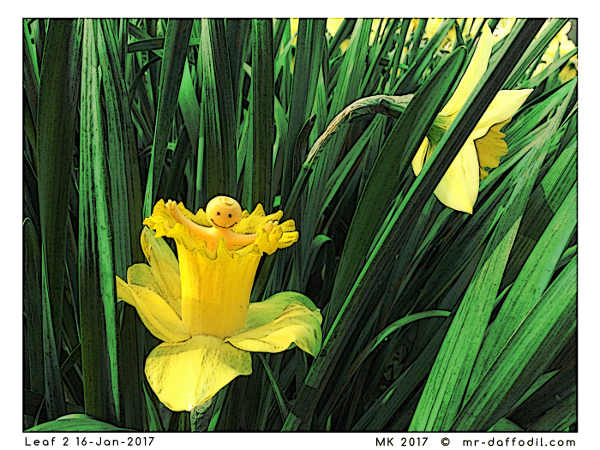 Leaf 2, 16 January 2017: A daffodil is born! 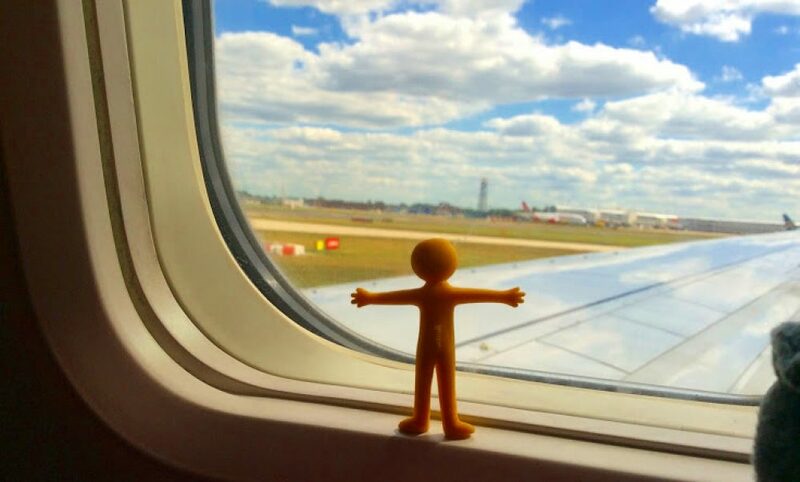 One morning in April, I opened my eyes and realised that I was surrounded by bright yellow. The sun tickled my nose. I smiled, stretched my arms and peeked out. I was inside a daffodil! Around me stretched an endless field full of other blooming daffodils. In the daffodil next to mine, someone was snoring happily. It was so beautiful! Even the snoring. But you must be wondering what sort of person wakes up inside a daffodil. Well, let me tell you. A Flowerperson, of course! Daffodilfolk are a subspecies of Flowerfolk, also known as Homunculus Floribus. Unlike other larger Hominids, like Monkeys, Humans or Hobbits, who are mammals, we are actually part of the Plant Kingdom. But, unlike most other plants, we like travelling. Flowerpeople are born among flowers. Like them, we need lots of sunshine to grow. And some water. And, although we can eat other (mostly yellow) things, our favourite lunch consists of sun rays. But what we need most of all are adventures. Lots of adventures!